This natural product contains Coconut oil and Cocoa seed butter, incorporated into a lotion for ultimate skin hydration benefits. 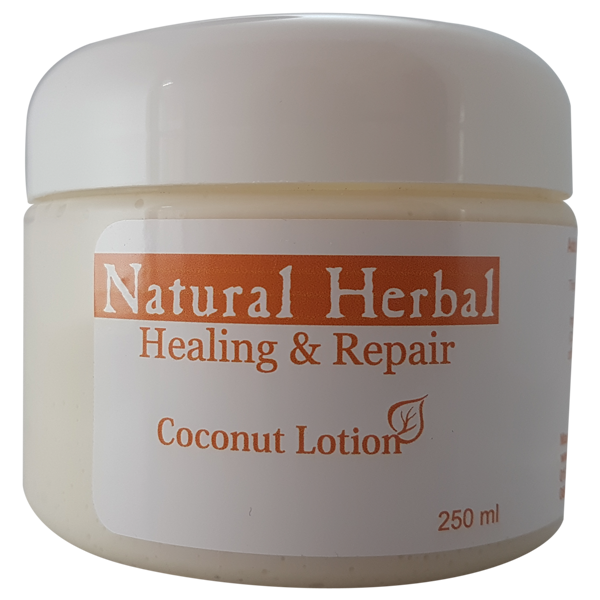 Healing & Repair Range Coconut lotion contains Cocoa seed butter, rich in antioxidants which protects the skin from free radicals. It also contains a high concentration of fatty acids providing deep skin hydration. The addition of coconut oil softens and moisturizes whilst aiding in skin repair of minor abrasions. Pour some lotion into the palm of the hand. Lather over entire body or as required and leave on. Leaves skin feeling soft supple and refreshed with a moisturised glow.